SMA Female to BNC Female Aadaptors. Two-Way Radio with Male Antenna Mount and use with SMA Female Antenna. 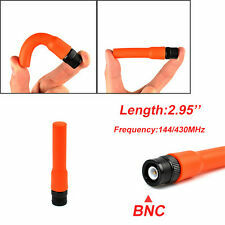 BNC Male Dual Band Antenna 144/435MHz (7.56" Whip). BNC Male Dual Band Antenna 145/435MHz (14.4" Whip). P/n BR6299, Browning. 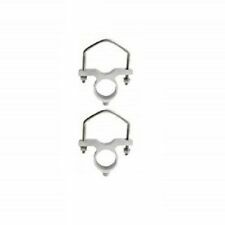 Mounting Brackets Set for Base Antenna 1485 1486 1487 1488 1490 1491 1494 1480 1481, BR6051, BR6050, BR6053, BR6054, BR6070, BR6140, BR6143, BR6145, BR6146, BR6155, BR6157, BR6280, BR6283, BR6286, BR6245, BR6248, BR6249. VHF 136-174 MHz. UHF 380-470 MHz. 698-960 MHz. With Spring. Frequency: 144/430MHz(2M/70CM) UHF VHF Dual Band Antenna. Connector: SMA-Male Antenna. Compatible with Two-way handheld radio For YAESU/Vertex Standard Handheld Radios: VX-1R, VX-2R, VX-3R, VX-3E, VX-5R,VX-177, VX-170, VX-7R,VX-6R, FT-60R, VX-210, VX-210A, VX-300, VX-400, VX-410, VX-414, VX-417VX-420, VX-424, VX-427, VX-10, VX-14, VX-17, VX-110, VX-130, VX-131, VX-132, VX-150, VX-151, VX-152, VX-160, VX-180, VX-500, VX-510, VX-520, VX-800, VX-8DR, VX-8GR, VX-230, FT-277R etc. Frequency: 144 / 430MHz(2M/70CM) UHF VHF Ham Radio Antenna. 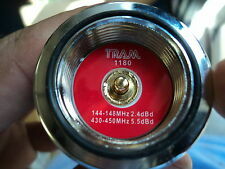 Connector: BNC male Ham Radio Antenna. Compatible with Two-way handheld radio Wilson: HH152, HH154, HH156, HH462, HH464. Uniden: HH979. Vertex Standard: 734, 834, HR146, HX300, HX320, HX400, CU32, CP/CS 5015, 0420. 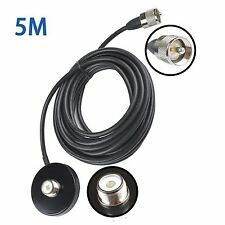 SMA-Male Antenna Compatible Models Gain: 3.0dB(144MHz) 5.0dB(430MHz). Frequency: 144/430MHz Dual Band. Length: 27.7cm ---> 108.5cm(full stretch). Dear you should know before you buy Impedance: 50Ω. BAOFENG UV-5R…etc. Two-Way Radio with Male Antenna Mount and use with SMA Female Antenna. SMA Female Dual Band Antenna 145/435MHz (14.4" Whip). SMA Female. TWO-WAY RADIO. TWO-WAY RADIO PROGRAMMING CABLE. Connector: SMA Male. Type:Soft Antenna. SMA-Male Antenna Compatible Models Band:dual band VHF/UHF. Dear you should know before you buy VX-3R,VX-6R,VX-7R,VX-8R,VX-150,FT-60R,VX-160,VX-180,VX-400,VX-300,VX-800,FT-270R,FT-250R,VX-230,VX-8d,VX-2R. Retevis H777, Retevis R888S Plus. Kenwood:TK-360,TK-370,TK-370G,TK-372,TK-372G,TK-3100,TK-3140,TK-3160,TK-3170,TK-3180,TK-3200,TK-3202,TK-3207. 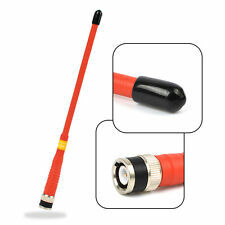 This Antenna is compatible with most Female two-way handheld radio like. 144/430Mhz SMA-Female Dual Band Radio 10W Antenna Kit for Baofeng UV5R UV-82. Baofeng: GT-3,UV-5R,UV5RE, UV5RA,UV5R Plus UV-82L. PUXING: PX-777, PX-777 PLUS, PX-666, PX-3288, PX-888. WEIERWEI: VEV-3288S,VEV-6288,VEV-3288, V-1000. Diamond Antenna SRH320A Triband HT Antenna. 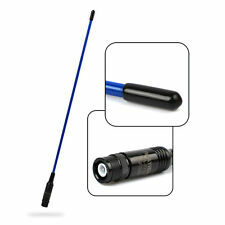 High quality, high gain HT antenna with flexible whip. Increase the performance on your handheld or wideband scanner with a Diamond® SRH Series antenna. Radio Accessories. Compatible for Dear you should know before you buy VEV-3288S, VEV-6288, VEV-3288 ect. TG-K4AT, TG-2AT, TG-45AT, TG-42AT, TG-22AT, TG-25AT, TG-UV ect. TK-360, TK-370, TK-370G, TK-372, TK-372G, TK-3100, TK-3140, TK-3160, TK-3170, TK-3180, TK-3200, TK-3202, TK3207 ect. Russell low band 30-50 MHz rubber duckie replacement antenna for 5/16x32 thread, in NOS condition. For walkie-talkies and scanners. What you see in the pics is what you'll receive. --------------------------------------------------- • Feel free to contact us with any questions. Questions usually answered within 30 minutes. • See photos before committing to buy. • Fast, free USPS shipping with tracking. • Feedback always returned. Thank you for looking at our listing! Please visit our eBay store for more cool estate sale finds coming soon. Type:Soft Antenna. SMA-Female Antenna Compatible Models Band:dual band VHF/UHF. TH-UVF1 T2 T3 F6 300 500 600 800 900 9900 ect. Dear you should know before you buy BF-666S, BF-777S, BF-888S, BF-320, BF-480, BF-490, BF-V6, BF-V8, UV-82 BF-F8HP GT-3 BF-F8 BF-388A, BF-UV5R, BF-UV5RA, BF-UV5RB, BF-UV5RC, BF-UV5RD, BF-UV5RE BF-UV5REPlus, BF-UV82, BF-UVB5 B6 ect. Type:Soft Antenna. Band:dual band VHF/UHF. 2 NA-771N SMA-Fem ale Dual Band Antenna. Compatible for Dear you should know before you buy BF-666S, BF-777S, BF-888S, BF-320, BF-480, BF-490, BF-V6, BF-V8, UV-82 BF-F8HP GT-3 BF-F8 BF-388A, BF-UV5R, BF-UV5RA, BF-UV5RB, BF-UV5RC, BF-UV5RD, BF-UV5RE BF-UV5REPlus, BF-UV82, BF-UVB5 B6 ect. Ordinary antenna performs best on UHF frequency. and ordinary antenna length: 220mm(with base). Bare ordinary antenna length: 162mm. Can be interchangeable, use different antenna in different circumstances, the antenna is very easy to disassemble and easy to carry. 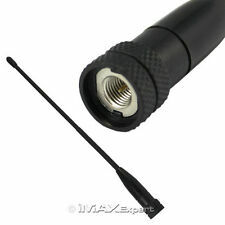 Dual Band SMA Female High Gain VHF UHF Handheld Radio Antenna For BaoFeng UV-82. TWAYRDIO NA-772 SMA Female Ham Radio Antenna. 2 TWAYRDIO NA-772 SMA-Female Ham Radio Antenna. Features a 2.15dBi signal with up to 10W of power. For BLACK & DECKER. SMA Female Dual Band Antenna 145/435MHz (14.4" Whip). Two-Way Radio with Male Antenna Mount and use with SMA Female Antenna. SMA Female. TWO-WAY RADIO. TWO-WAY RADIO PROGRAMMING CABLE. Baofeng: GT-3,UV-5R,UV5RE, UV5RA,UV5R Plus UV-82L. Antenna type : Soft Dual Band Antenna. Connector: SMA-FEMALE Dual Band Antenna. Antenna Color: Orange. Band: Dual Band VHF/UHF. Max Power: 20 Watts. Soft Antenna. 2 NA-RHF40 SMA-Female Dual Band Antenna. Compatible for Dear you should know before you buy Max power VEV-3288S, VEV-6288, VEV-3288 ect. TG-K4AT, TG-2AT, TG-45AT, TG-42AT, TG-22AT, TG-25AT, TG-UV ect. 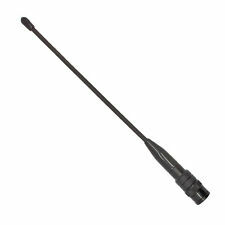 This Antenna is compatible with most Female two-way handheld radio like 1 Na-771N SMA-Male Antenna. Band:Dual Band VHF/UHF. •One Year Warranty for this product. However, don't disassemble the product by yourself. Single band. It is suitable for most radios with SMA-Female connector. Max power Dear you should know before you buy VX-3R,VX-6R,VX-7R,VX-8R,VX-150,FT-60R,VX-160,VX-180,VX-400,VX-300,VX-800,FT-270R,FT-250R,VX-230,VX-8d,VX-2R. Type: soft antenna. Band: dual band VHF/UHF. TH-UVF1 T2 T3 F6 300 500 600 800 900 9900 ect. Dear you should know before you buy BF-666S, BF-777S, BF-888S, BF-320, BF-480, BF-490, BF-V6, BF-V8, UV-82 BF-F8HP GT-3 BF-F8 BF-388A, BF-UV5R, BF-UV5RA, BF-UV5RB, BF-UV5RC, BF-UV5RD, BF-UV5RE BF-UV5REPlus, BF-UV82, BF-UVB5 B6 ect. Note: the antenna is compatible for: most SMA-male Radio. Compatible with Two-way handheld radio Baofeng/Pufeng handheld Radio:GT-3, UV-5R, UV5RE, UV5RA,UV5R Plus UV-82L BF-F8HP, BF-F8 . WOUXUN handheld Radio: KG-UVD1P,KG-UV6D,KG-659, KG-669, KG-669 PLUS. BAOFENG UV-3R ( NOT for UV-3R Plus/UV-3R ). Dual Band Two-Way Radio with Female Antenna Mount and use with SMA Male Antenna, such as SMA Male Dual Band Antenna 144/435MHz (14.4" HIGH GAIN 50W). TWO-WAY RADIO. Baofeng: GT-3,UV-5R,UV5RE, UV5RA,UV5R Plus UV-82L. Antenna type : Soft Antenna. 1 Piece NA-771 FEMALE. Band: Dual Band VHF/UHF. One Year Warranty for this product. However, don't disassemble the product by yourself. Soft Antenna. I will do my best to help you! Compatible for TK-240, TK-250, TK-255, TK-260, TK-260G, TK-270, TK-270G,TK-272G,TK-278,TK-278G, TK-340, TK-349. LT-2288, LT-3288, LT-6288, LT-5288, LT-3188, LT-2188, LT-3260, LT-2268, LT-3268, LT6188, LT3288. SMA-Female Antenna Compatible Models. Band:Dual Band VHF/UHF. 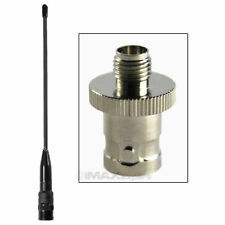 1PCS NA-772 SMA-Female Antenna. I will do my best to help you! H777, Retevis R888S Plus. TC-268, TC-268S, TC-368, TC-368S, TC-370S, TC-500, TC-500S. Type: soft antenna. The antenna is compatible for most SMA-Male Radios, But Not SMA-Female ones,pls check the right type before your placing orders, and much as the below chart shows Dear you should know before you buy. ☺ V80 V80E. Compatible with :ICOM. Antenna type: Soft Antenna. Color:Gold-based, with a little black. ☺ HR146 HX300 HX320 HX400. ☺ 734 834. Compatible with : Vertex Standard. ☺ HT440 HT90.